If there is ever a time to spend a few days in Cle Elum, it's the Fourth of July weekend. The annual Pioneer Days celebration packs visitors' weekends full of special events, outdoor street vendors, live music and downtown activities. 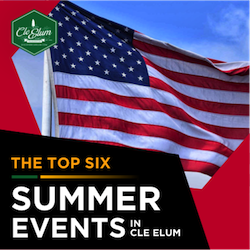 Check out a snapshot of the events in Cle Elum happening this busy holiday weekend! Download the flyer with descriptions, locations map & directions. PIONEER DAYS GRAND PARADE at 10:00am, located on 1st Street between North Oakes and Peoh Avenues. This year's theme is "Red, White and Blue Pride", so bring your patriotic colors and spirits to this lively event. 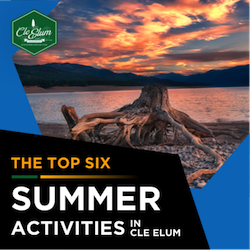 View the schedule, map and event descriptions on this page for a full list of events in Cle Elum, Roslyn and Ronald. 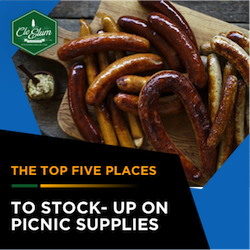 There are plenty of park activities for the kiddos, and the downtown Cle Elum area beckons shoppers and diners throughout the weekend. Stop in at the newly established 509 Bake House on First Street to sample the latest regional sweet treats. Pop into Pioneer Coffee House and greet the crew with a big "Congratulations!" on their 15th Anniversary. Stroll down First Street to the other specialty shops for festive treats and specials, and share your weekend adventures with us on social media! #howwedocleelum.